So so sorry for not being as active as I used to be. Hmm. I was just not in the mood for it as I am more concerned in my personal stuff lately. Cheek mask?? Is there such mask? Hmm, I think such cheek mask does exist right? Anyhow, the current post will not be on cheek mask. XD It's actually an eye mask from Dermal. We ordered two different functions of eye mask from Koreadepart. 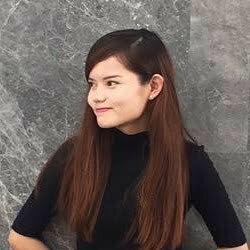 Do have a read of their excellent delivery service from my sister's blog here. 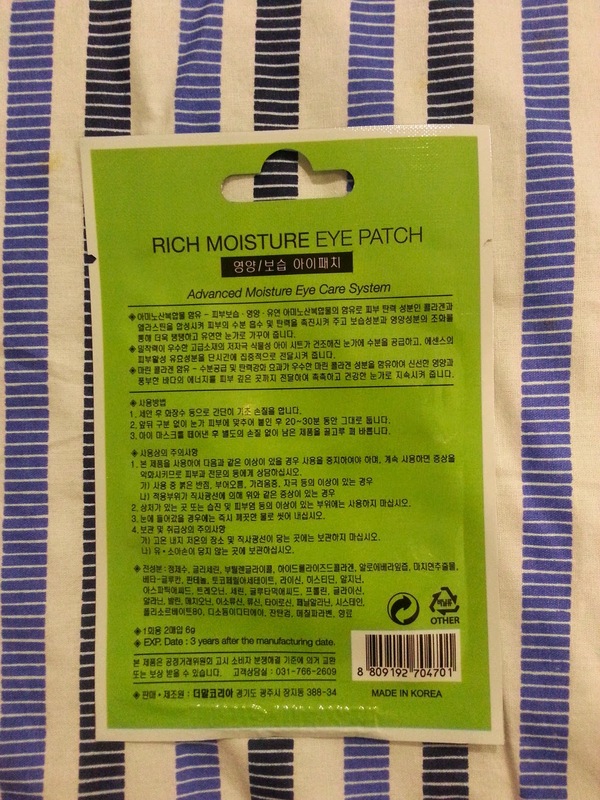 Currently I have tried the Rich moisture Eye Patch. It is in a green packet of 6g. It costs 1.95 USD for 5 pieces of the eye patch! This is how the front packaging of the eye mask looks like. All the information at the back is in korean words. Can't understand at all. 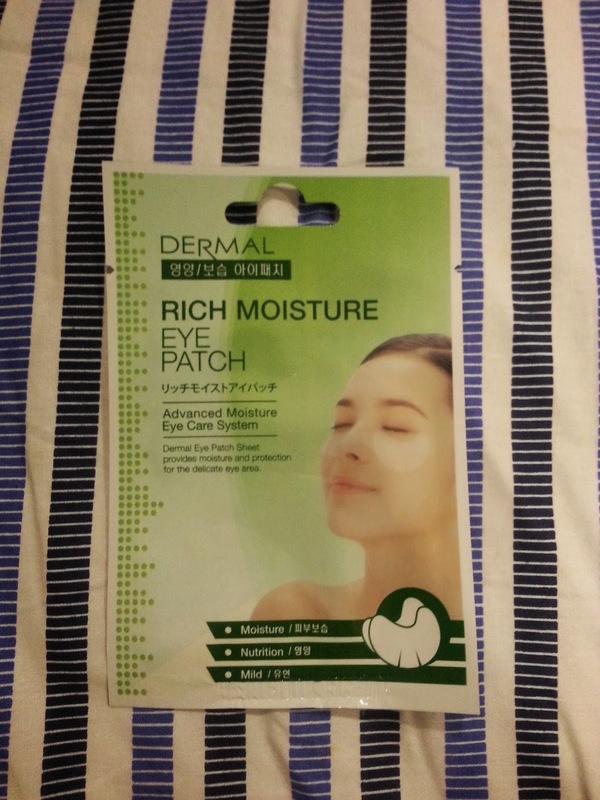 >.<"
This Dermal Rich Moisture Eye Patch has this advanced moisture eye care system which helps to provide moisture and protection for our delicate eyes. The pieces of masks contains essence not too much nor too little. Just nice enough for it to maintain moisture and stick to my cheek eye throughout the whole 20 minutes of application. 1. After cleansing, calm your face with toner first. 2. 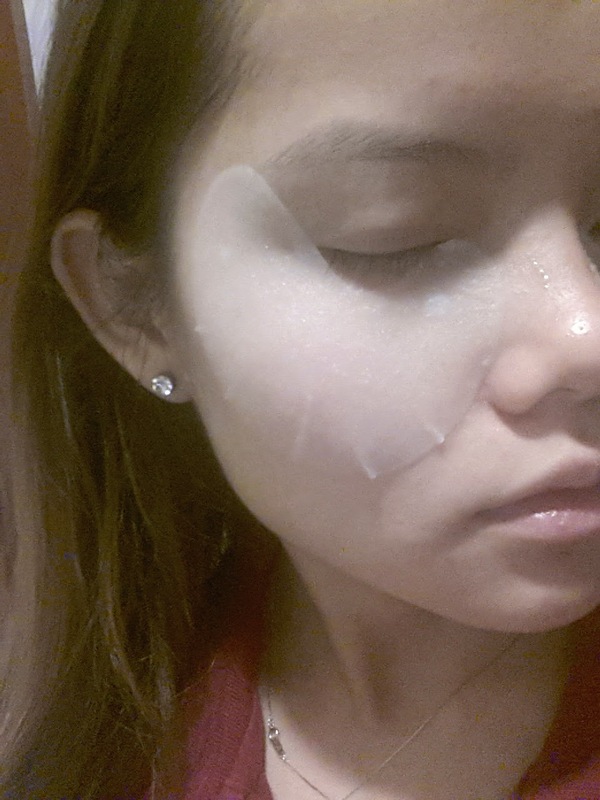 Attach the sheet mask on your face tightly. 3. About 20-25 minutes later, remove the mask and tap your face lightly. The eye mask piece is so big. Initially I doubted the position that I have placed. The slits are the small line thing at the lower cheek area. 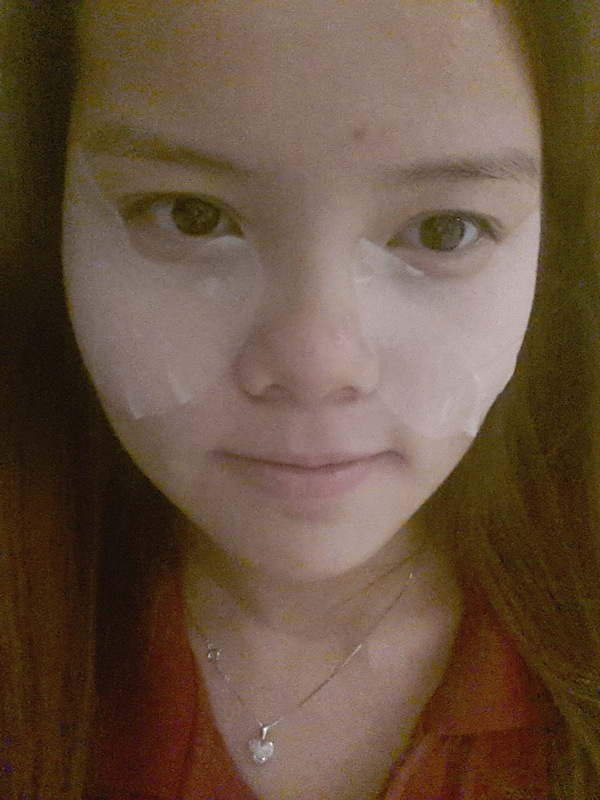 Just a question, can I actually place the whole mask across my eyes and sleep instead since it is soooo big. I think it is big enough to cover my eyes and I should sleep and relax my eye muscles. Or? What do you think? It smells somewhat sweet and fruity. 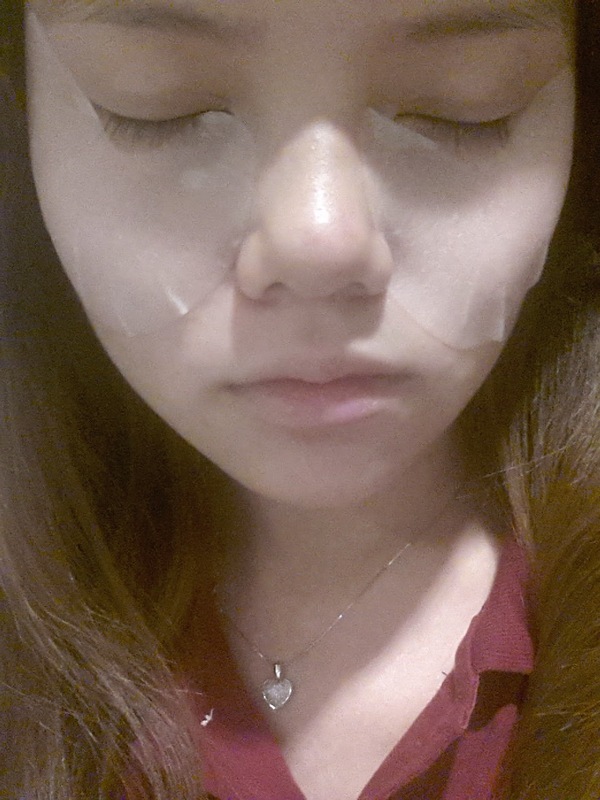 The eye masks are super thin and light upon application. It is thin enough that I can still wear my glasses and watch movie from my laptop with my baby brother. There were 2 slits cut at each eye mask and I don't really know why it us needed. Maybe it was there for better placement of the mask, as in it can be placed perfectly even at curved edges and etc (eg. more protruding cheekbones oe something). I also like it because I think it doubles as a cheek mask ^^ More moisturized cheeks indeed! ^^ Eye area and cheeks were definitely much more moisturized and supple. No stickiness after essence were absorbed into the skin. Big love for it!! - "amino acid complex and marine collagen promotes elasticity and energy for healthy eye area" (as cited in en.koreadepart.com itself). YES! I think my cheek and eye area sipped plenty of water. It is of a pleasant scent. No stickiness felt after the application is over. Very satisfied with the moisturizing effect after application. Thank you for reading this! Have a good night!